I have salvaged a few postcards from the pile of scrap materials that my sister-in-law will bring to a junk shop with other scrap papers. I took the postcards and I’m glad I did because they are serving another purpose as blog post. The postcards are old and yellowish already but the subjects (places) will still catch the reader’s eye like this one. Manila Bay is where you can see the best sunsets in the world. Manila bay sunset is not only popular for promenaders but also one of the favorite subjects for photography enthusiasts. Have you seen the Manila Bay sunset yet? 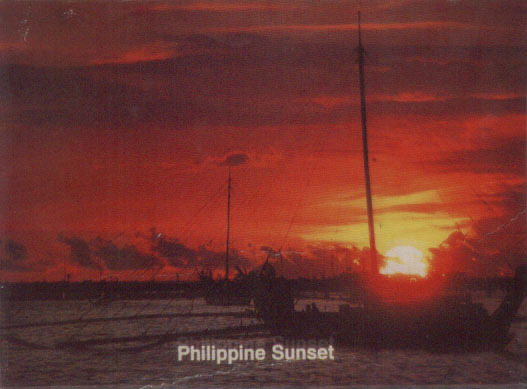 This entry was posted in Postcards and tagged famous philippine sunset, famout manila bay sunset, manila bay, manila bay sunset, postcard, the philippine sunset on October 3, 2011 by Yami.